In the spring of 1992 I was working at the Peterborough Examiner newspaper in the Composing Room, and doing freelance graphic design work on the side. 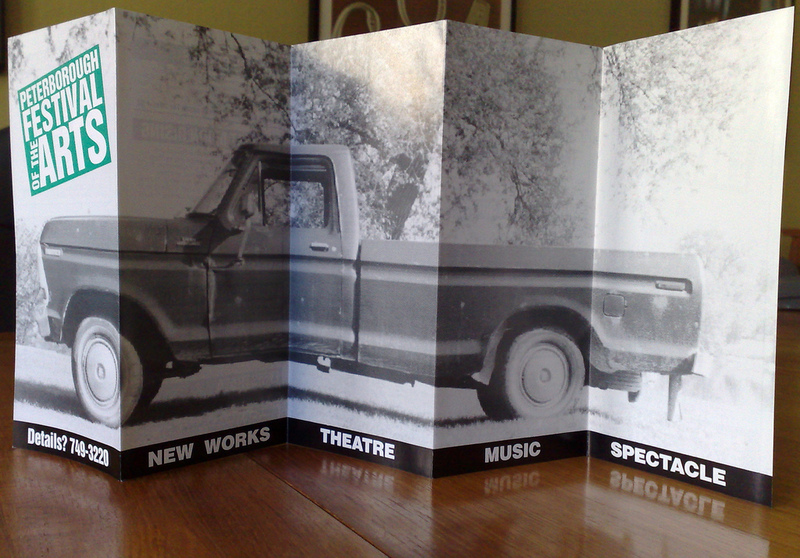 The Peterborough Festival of the Arts hired me to design and produce a season brochure for them, and after playing around with some ideas I decided to take a photo of my 1978 Ford F-100 pickup truck and use it as the signature image, running over all 5 folds of a standard accordion brochure. I took the photo with Catherine’s SLR film camera (digital cameras didn’t come along for another few years), scanner the negative at the Examiner and used their stand-up camera to blow it up to the required size. On the day the brochures — 10,000 copies! — were ready, I picked them up at the printer and delivered them to the Festival’s office on George Street. That night the building burned to the ground, and took all 10,000 brochures down with it. With the help of a sympathetic printer, and a Festival that didn’t balk at the notion of committing to the truck image again, another 10,000 copies were produced in short order. It was the most exciting design/print job I ever did. Written May 30, 2008 at 12:15 p.m. I too have great memories of working in the composing room of small town newspaper in the early 90’s. I have the dubious distiction of having delivered door to door, written a column about student life at UPEI and helped with the composing of the final edition of the Evening Patriot. 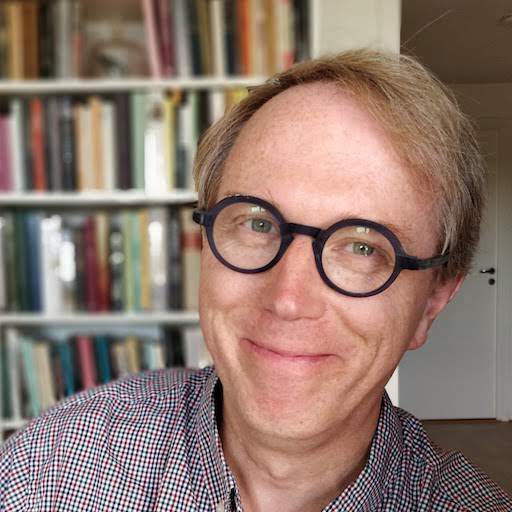 I worked on both the Guardian and Patriot — mostly part-time — from June 1993-June 1995 while attending UPEI and look back on it as a great experience, I very briefly toyed with the idea of quitting school and doing it fulltime. Alas the call of engineering was too strong (or more likely I was too scared). Oddly inspiring. Great photo of the brochure in accordion-mode too. It’s amazing how much that looks like a web page.